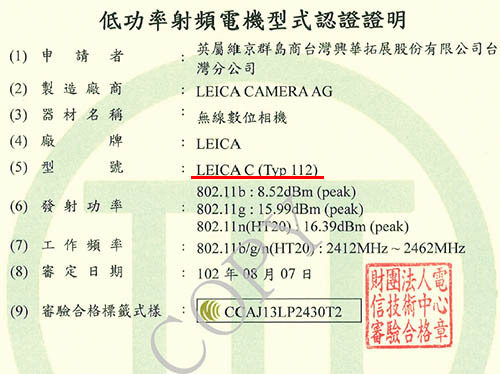 A recent filing with the Taiwan National Communications Commission (NCC) reveals a new Leica C type 112 camera with built-in Wi-Fi capabilities. My guess is that the official announcement will be this fall (see this interview with Dr. Kaufmann where he confirms that new products will be announced in fall and next spring). 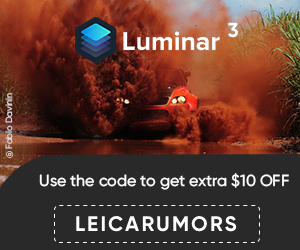 New Leica 50mm f/2.0 Summicron-M ASPH this Fall? 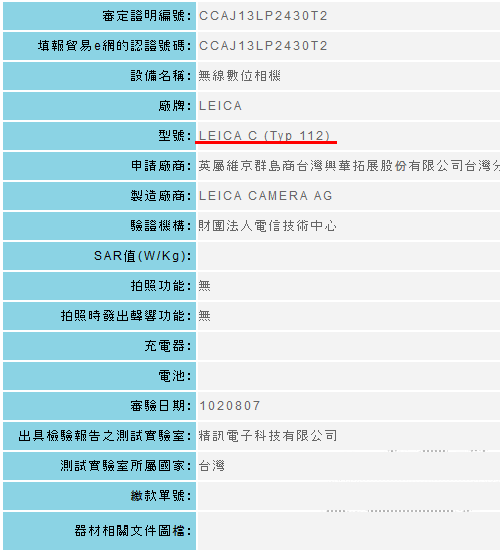 This entry was posted in Leica C. Bookmark the permalink. Trackbacks are closed, but you can post a comment.